Premium Covered Steel Canopies offer protection from sun, heat, hurricane winds, rain and debris. Covered storage offers hurricane-rated steel canopy buildings with embedded columns in a concrete foundation, providing wind load to 130 MPH. 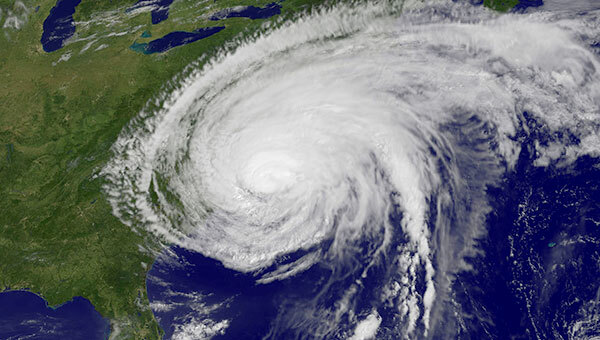 The superior storm water drainage system eliminates any risk of flooding and the canopy buildings meet all building codes and wind tolerance requirements. 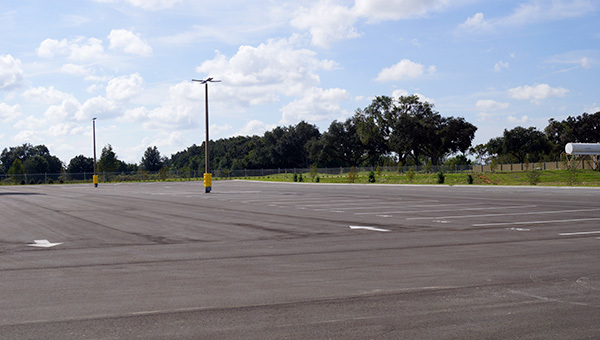 The entire storage facility is fully-paved so no more parking in the dirt or grass. Vehicles are easily leveled on an even asphalt surface, no risk of shifting or sinking like on grass and gravel. Providing a clean environment with less dust and unwanted pests. Preparing your motor home, motor coach, RV or boat for storage usually includes emptying the holding tanks. Finding a dump station today can be a challenge; usage fees are increasing, and many RV and motor-home parks now charge extra to use their dump stations. 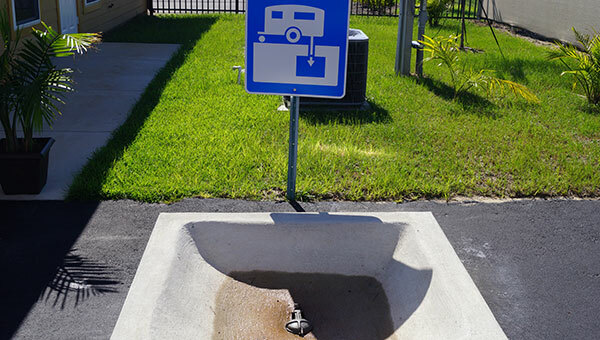 Barracuda Boat & RV Storage Ocala provides a dump station for our customers to use, free of charge. To protect the finish of a vehicle, RV or boat, it is recommended to wash down the vehicle to remove dirt, dust, grime and especially bugs before it goes into storage. 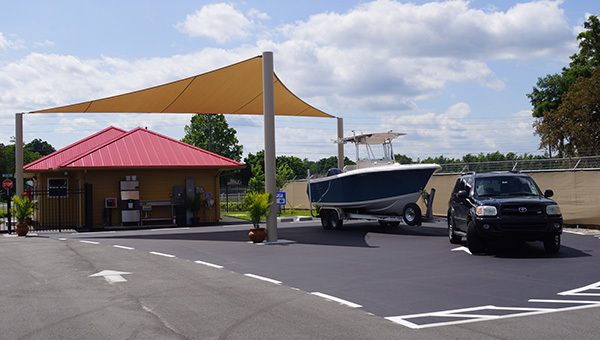 Barracuda Boat & RV Storage provides a wash down area for our customers to use, free of charge. Maintaining proper tire air pressure promotes better performance and longevity. During vehicle storage tire pressure can decrease over time. 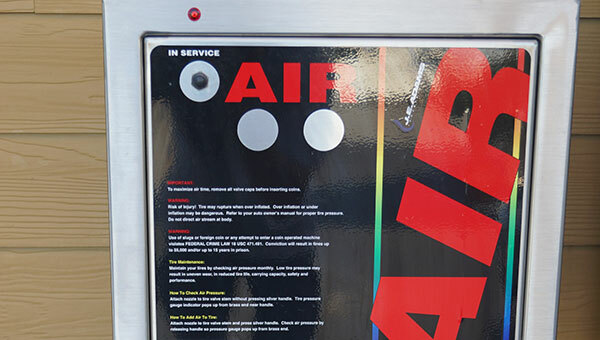 The Air Station provides 120 PSI for tire inflation and is available to customers 24/7. There is no need to make another stop for ice! 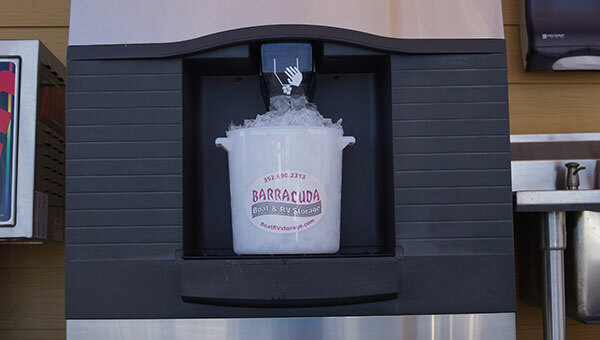 Self Service Ice Machine provides all the ice needed 24/7 for your coolers or ice buckets. To maintain the voltage of your vehicle batteries while in Storage the optional 15 or 30 AMP electrical service is available in each Unit of Covered Storage spaces. 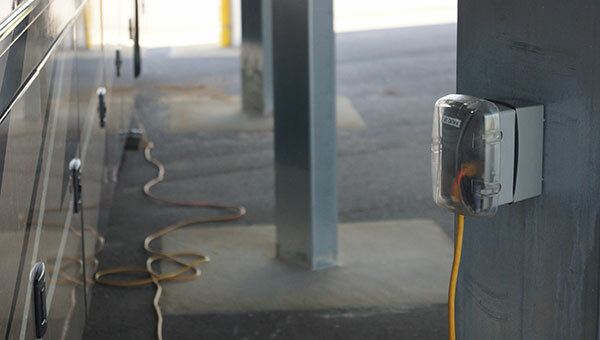 The most common 120 volt electrical system used in dry storage by boats is 15 amps and by RVs is 15/30 amps. Depending on your vehicle’s system requirement you can determine how much amperage, 15 or 30 amps, your charger/converter uses to operate. 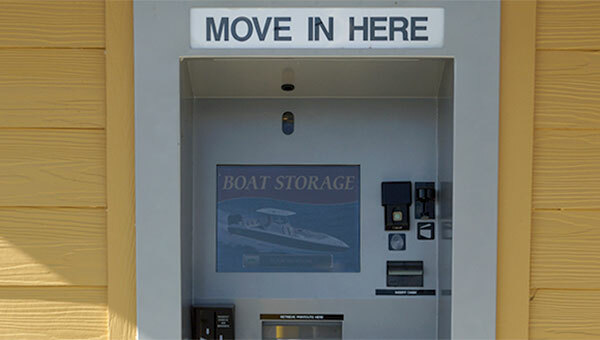 Barracuda Boat & RV Storage offers our tenants the ability to Rent Storage Units, manage your account and pay your rent using our secure Kiosk located at the entrance of our facility. 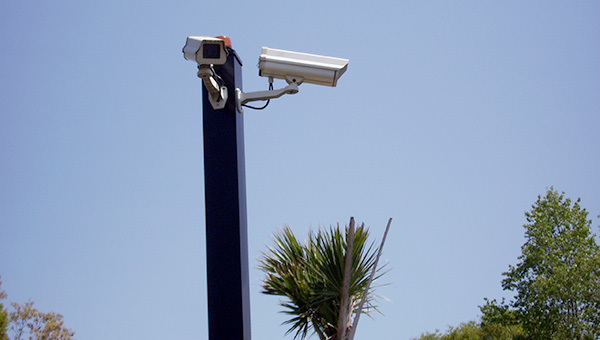 You‘ll always feel safe and secure on the facility grounds. 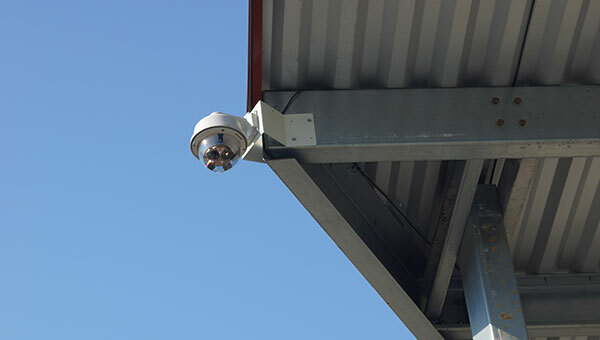 Barracuda is equipped with superior LED lighting for after-dark access and a six-foot high commercial security fence topped with barbed wire protects the entire perimeter.